I finally took the plunge and bought some artsy things at Walmart. Friday afternoon I painted something other than a house to sell for the first time in 31 years. I let my mind and hands experiment with canvas and acrylics. 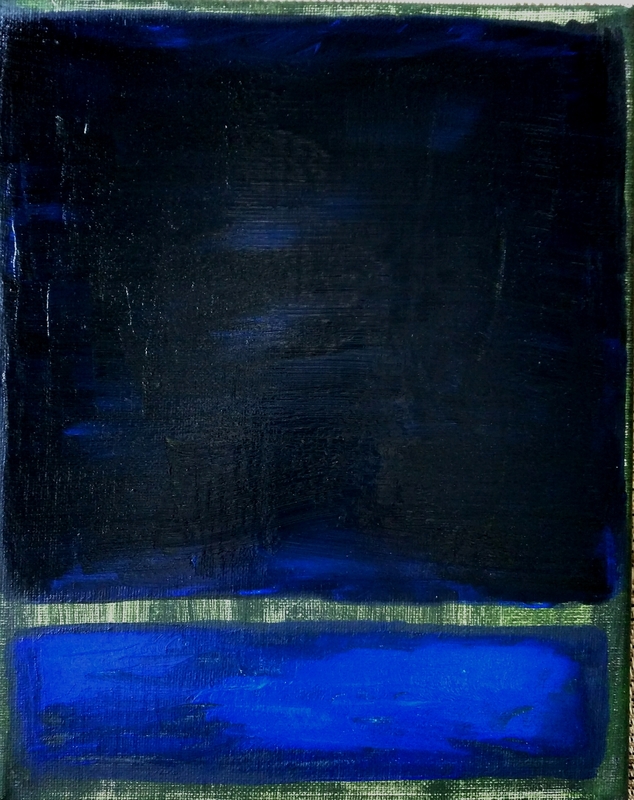 After the test canvas, I created the one above as my first ode to Rothko (Ode #1). I learned that scrubby towels are excellent tools and that even for a mini canvas, I will need more paint. Rothko’s background music was classical. Mine was a Hallmark Christmas movie. At some point, I may find my own original style. For now, flattery of my favs.